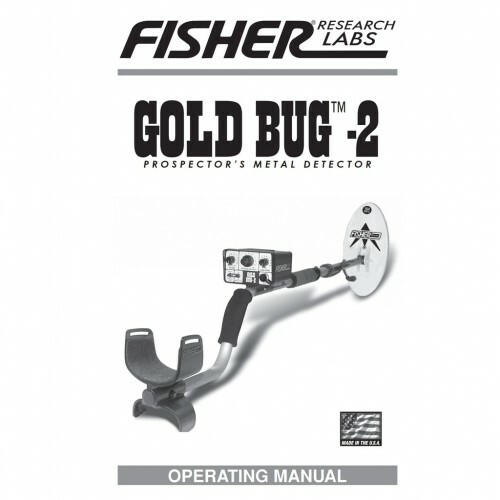 Showing results for tags 'fisher gold bug 2'. 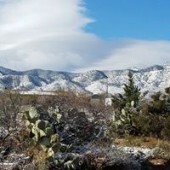 ColoradoGoldCamp Published on Feb 14, 2019. Rhodo nails the biggest nugget of the day with the Gold Bug 2 right on bedrock! What a great day out gold detecting! 54 pieces of trash and 3 count em 3! Colorado Gold Nuggets! Man, I love prospecting with my best metal detector! Did some arrowhead hunting too. We find some relics from the old gold mining days and some evidence of Colorado Arrowheads, all at Colorado Gold Camp. Silver Sings! Happy New Years To All! I have a gold bug 2 for some reason it will only work with the head phones now .??? Gold Bug Or Gold Monster? Was thinking of picking up a more dedicated nugget detector. I am debating a Minelab Gold Monster vs one of the many Gold Bug versions? Anybody have experience with the GM 1000 to compare? Eight Inch Coil For The Gold Bug 2? The six inch coil for the Gold Bug 2 is working great and we find a few with the 10 inch, but we wonder if there is an 8 inch coil available somewhere for the Gold Bug. In several locations in our hunt area, an additional inch of depth would open up a whole new world of small nuggets. Just asking and hoping competing vendors' coils might work on the Fisher. GB2 Vs. Gold Monster 1000. A New Champion? I know it is really early in the bout. But possibly is the new kid on the block going to knock out the reining champion of many many years in the gold nugget VLF sport? I'm hearing so many good things about the GM 1000. And I'm really leaning on getting one soon. Hearing so many good reports from " Average Joe" dectectorists. I have had way more experience and success with Minelab detectors than any other brands. So I guess I speak Minelabbian better than anything else. My gut feeling thinks that we might be crowing a new Welterweight Champ. I guess time will tell????? A little over a week ago I received my repaired Gold Bug 2 back from Fisher in El Paso. I thought my threshold knob was bad, but Felix at Fisher said it was the ID and Mineralization toggle switches-probably from years of dirt build-up. They replaced the toggles, checked out the calibration and cleaned it. Turn around time, shipping included, was less than three weeks. We took it out four days ago and got this .7 gram nugget in shallow gravels on bedrock. To preclude the problem from happening again I bought a thin neoprene washer and cut a round disc using a Henry rifle cartridge. After slicing a tiny x in the center of the discs with an Exacto knife they slipped tightly over the toggles. Not pretty but I think this will work. I received this question via email, edited to remove any tips as to the source: "Steve- been reading your reviews of detectors from way, way back. Now I'm looking for a bit of advice. I've got a claim where I've pulled nice gold, but the biggest single nugget has been just about a gram, pretty small stuff (but it's pretty plentiful). My GB-2 has really shined in this environment - shallow bedrock, low mineralization, and plenty of small gold. The issue is that my son doesn't want to let me use the GB-2, as he wants to use it all the time. That puts me in the market for another VLF machine. I've tried the GB-Pro, and didn't really care for it. Your review of the Nokta AU Gold Finder, and the Makro Gold Racer, both look pretty good. Other than the display and control box itself, are these machines really the same, or would one do better (coil size being equal) than another on small gold with low mineralization? The reason why I just don't go get another GB-2 is that it would be a nice bonus to use the new detector close by my son, while still hopefully having it excel and finding small gold. Any insights would be greatly appreciated. If there really isn't anything else that comes close, then I'll certainly go for another GB-2, even at it being as old as it is, but if there is another one that would excel in the above environment, I'd certainly appreciate your opinion on it." Well, in my opinion the 71 kHz Gold Bug 2 with 6" coil has been and continues to be the top of the heap when it comes to finding the tiniest bits of gold. So the real question is whether you feel like giving up that little edge the unit has over all the rest in order to run a machine right next to your son without the two machines interfering. 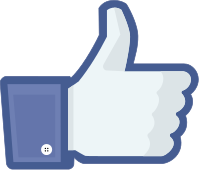 You also have the advantage of being very well versed in the use of the Bug. Let's assume you do want to get something else however. You have mentioned the 56 kHz AU Gold Finder and Gold Racer, and they are indeed the same circuit in two very different packages. Coils from one will work just as well on the other. Other current new model alternatives would be the 48 khz White's GMT and probably the very soon to be available 45 kHz Minelab GM1000. Finally, I should mention the XP Deus V4 high frequency coil options hitting the market now in case you might consider a more exotic option. There also have been hints of a dedicated gold machine from XP this year. I would assume a small coil as being a must have, and an advantage with the Gold Bug 2 is you can get it with the small coil as a stock variation. So let's compare internet prices. Fisher Gold Bug 2 with 3.25" x 6.5" coil = $764 Makro Gold Racer with 5.5" x 10" coil $699 plus 4" x 7.5" coil $119 = $818 or Pro Pack $899 Nokta AU Gold Finder with 5.5" x 10" and 5.5" round coils = $999 White's GMT with 6" x 10" coil $729 plus 4" x 6" coil $127 = $856 Minelab GM1000 with 6" x 10" coil and 5" round coil = $799 A Deus runs $1250 plus the 4.7" x 9.5" elliptical HF coil at $425 = $1675 so not a good fit here for price and no smaller coil option than the elliptical. The only hope of that improving is if the dedicated gold machine shows up with the HF coil as stock. I have to admit that the reports of warranty issues with early Gold Racer models have me concerned. This despite the fact I have what must be the oldest Gold Racer and AU Gold Finder units in the country, and both are going strong. I have to assume the issues, whatever they were, have been ironed out. I don't know that for a fact however. If you got one and still had a problem, Nokta/Makro is famous for resolving issues with customer satisfaction. The units carry a two year transferable warranty. The GMT is the safe tried and true made in the U.S. option, and as far as performance the 56 kHz Gold Racers and 48 kHz GMT run neck and neck. The big unknown at an attractive price is the 45 kHz Minelab Gold Monster 1000. My best advice - wait! The flood gates are just now opening as regards reports on the GM1000 and at $799 with two coils it looks on paper at least to be an option worth waiting to find out more about. If you have to do something this minute, the GMT is the safe option if the reports of problems with the Gold Racers worry you. Personally, I have been very happy with my Gold Racer and would not trade it for a GMT. I have to note I finally did get another Gold Bug 2 with 6" coil however. If you are the sort of person who can't live without having that last small edge of performance, it is still the machine to beat for tiny gold performance in milder ground like you are describing. Click picture for larger version. This is very important stuff for Gold Bug 2 owners so do please take note. Go so far as to tell friends that own a Gold Bug 2. I made note back in June 2015 that the design of the 6" coil had changed, along with the coil cover. The old coils had an exposed epoxy bottom, with either a black or light gray epoxy exposed to the elements unless you used a white scuff cover / skid plate. Here are the old coils and cover: The new coil has a fully enclosed white plastic housing and is a compatible replacement for the old coils. However, the scuff cover / skid plate is a different size and is black in color (thank you Fisher!). Here are the new coils and cover: The new coil cover will not fit on old coils and the old coil cover will not fit on new coils. Here is another tidbit I found out recently by accident - I have not seen it published anywhere. The Gold Bug 2 three piece rod was always a bit odd. The upper rod inserted into the middle rod. In other words, the middle rod section was female on both ends. I have never seen anyone else do it this way, but back in the day this was one of the first if not the first three piece S rod designs to hit the market. The original Gold Bug 2 rod was a two piece design. This made the Gold Bug 2 an oddball rod design compared to most of the rest of the First Texas lineup, and somewhere in the last couple years they went to the rod and arm cup used in other First Texas detectors for compatibility between various models. There are also more adjustment holes in the new middle rod - seven old versus nine new - an easy way to tell them apart. A good idea actually, but it means if you have an old Gold Bug 2, the upper and middle rods are different than the new ones. If you need parts, be careful to explain what you need. I promise most dealers will not know about this change in the rod design. Click on the image below for closeup. Lower rods are compatible between both versions so no worries there. I really am not bashing the GB II but I just never could connect with the machine. Crummy discrimination and awkward ground balance system combined to make it less than one of my favorite all time detectors. I am not denying it is the best at what it does, I just never liked how it did it. Last fall a friend of mine needed a GB II worse than I did so mine went to a new home where it would find love. That left a hole in my detector line up. Yesterday I filled that hole with a Gold Racer, should be here in 3-4 days. I already have a Red Racer so I know the build quality will be good. Look forward to going head to head with Lucky and his Gold Bug in the Sierra hydraulic pits this summer. Me thinks he will be buying the beer at the end of the day. LOL p.s. A BIG shout out to Chris Porter at DetectorAid.com for the excellent service! Seems like anyone that uses a Gold Bug 2 much flips that iron disc switch back and forth so much it eventually gets loose. There were also periods when the proper star washer did not get used at the factory, and they got loose real quick! The fix is easy. There is a large shallow nut that holds the coil connection fitting in place below the battery doors. Remove this nut and washer. Of course the coil must also be disconnected. Now grab the ground balance knob on the control panel and wiggle until the control panel pops loose in the housing. Pull the control panel and guts carefully out a couple inches. There are wires leading from the circuit board to the battery compartments and threshold knob so take it easy. I usually just pull out far enough to be able to see the nut on the backside of the disc switch inside the control box. If you look at the iron disc switch on the control panel above you will see the round portion has flat sides. You need a tiny wrench to grab hold of this. There is also a loose nut on the backside (that's why the switch is loose) that you can turn with a tiny wrench or a firm grip with needle nose pliers. If the lock washer is missing you can't add one without desoldering wires, so the best bet is to just add a tiny drop of loctite and firm everything up. Now reseat the control panel, lining the coil connector up properly with the hole, and reinstall the large washer and nut. Job done! G'day, I'm sure a lot will read this post and' should be able to give me some idea but... What is the performance of the GB2's 14" coil over moderate soil? And how does it perform in iron Disc if the ground was producing a lot of noise? Iv done the good old Google search and it seems that no one uses this coil, does it behave erratic or no one uses them.... Thanks in advanced. Not too long ago I posted about converting a Tesoro Silver uMax into a pinpointer at http://www.detectorprospector.com/forum/topic/980-tesoro-silver-umax-pinpointer-conversion/. I finally sold the Silver uMax, but I kept the shortened rod and put the slip mount for a Gold Bug 2 on it. This way I could convert my Gold Bug 2 into a similar setup which I still have today. I put it together this morning just to show it to you! It is a bit unwieldy with all the extra cable but it actually works just fine. The bent coat hanger is just a hook for hanging it off my belt. The entire unit is 16" long.